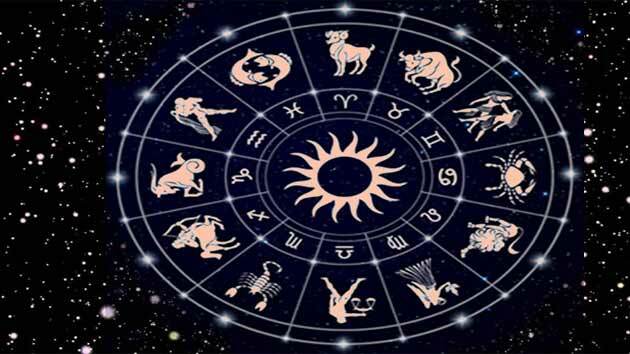 Aries: Frequent domestic squabbles are in no small measure due to your temperament. Children present you with big moments of happiness today. Make sure you don't catch a cold at this time. Taurus: You are in a position of strength and wield considerable power at this time. Your mother may need your help at some point today. Gemini: This is an ideal day for future planning. You look forward to eating out today. Your rivals keep you off balance. Prospects for romance are not on the horizon at the moment. Cancer: Make it a rule to crosscheck your source of information and save yourself any embarrassment that may be caused. Poetry and literary gatherings hold your interest today. Leo: Bureaucracy is becoming harder to deal with; exercise restraint and patience. Some unexpected help may be forthcoming from a mother-like figure. This is an appropriate time to buy a car or a vehicle of some sort. Virgo: You are drawn towards spirituality and want to find more meaning in your life. Children may spring an unpleasant surprise on you today. Sexual indifference in your relationship is a turning. Libra: A foul mood spills over into all your relationships, try and control your temper. There will be an inclination towards spiritual learning. You feel much better now, after the indifferent health condition of the last few days. Scorpio: Your misunderstanding with a friend needs to be sorted out immediately. Look around your home to see what changes can be made to brighten your surroundings. Health is on a high at this time. Sagittarius: It's important that you differentiate between authentic information and petty rumor. don't be so down and out; things will look up soon. Capricorn: While you enjoy your moment of glory, try not to let it go to your head. An air of gloom shrouds the entire day. You are advised not to drive today, especially if you drive an open-top vehicle. Aquarius: The early part of the day may find you feeling discontented with your existence and dreaming of a life of luxury. Local business can be a good place to start looking for a new job. Pisces: Look out for ways to add your savings. Try something that can earn a steady return. Though you are in the habit of keeping your time, make sure to reach in time for the important appointment you have fixed.